Boeing faces US lawsuit for Ethiopian Airlines 737 MAX crash: A lawsuit has been filed against Boeing Co in the US federal court on the behalf of a passenger killed in a March 10 Ethiopian Airlines 737 MAX crash that killed 157 people, a report said. The company has been drawing massive flak from across the world after back to back two crashes since October that claimed the lives of 346 people. Boeing faces US lawsuit for Ethiopian Airlines 737 MAX crash: A lawsuit has been filed against Boeing Co in the US federal court on the behalf of a passenger killed in a March 10 Ethiopian Airlines 737 MAX crash that killed 157 people, a report said. 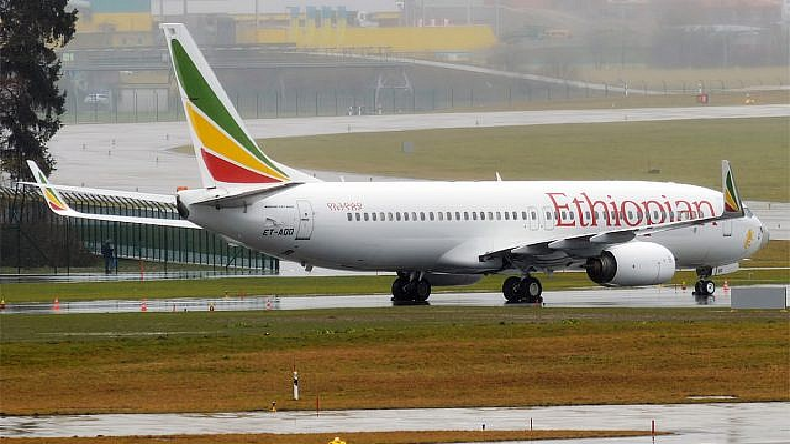 The Chicago-based was sued by the family of Jackson Musoni, a citizen of Rwanda, who claimed that the 737 Max 8 was not safely designed. The family also alleged that the Boeing, which manufactures the 737 MAX, had defectively designed the automated flight control system. The company has been drawing massive flak from across the world after back to back two crashes since October that claimed the lives of 346 people. Apart from that, the company is already facing a number of lawsuits over a Lion Air crash in Indonesia that killed 189 people. The Boeing spokesperson are currently keeping a mum over the lawsuit filed in the US federal court. Following the Ethiopian airlines crash, almost every country has been barring Boeing 737 Max from their airspace leading to the loss of billions of dollars market value of the US aerospace giant. The company has also been facing a criminal probe into how the plane was originally approved to fly. The complaint reportedly stated that the accident occurred as Boeing defectively designed a new flight control system for the Boeing 737 MAX 8 that automatically and erroneously pushes the aircraft’s nose down, and because Boeing failed to warn of the defect. Earlier on Wednesday, Boeing said it had been preparing to submit final paperwork to the US regulators for a software upgrade for an anti-stall countermeasure on the 737 Max that was underlined as a major defect in the preliminary probe. The probe had suggested that it was the erroneous software that pushed the nose down on the Max operated by Lion Air. The automated anti-stall system is a new characteristic that relies on a gadget installed on the outside of the MAX 8 jet to measure how high the nose is. If the nose of the aircraft is too high when a plane is climbing too quickly, the automated system brings it down. Experts said the new software stops that stall, but it also brings the nose down for no good reason. The software should kick in during autopilot mode, but not when the aircraft is flown manually by the pilot.